More and more people are taking their financial future into their own hands and investing in gold. To get started, it’s important to gain a clear understanding of today’s gold price and how it’s determined. Next, explore the differences between investing in gold versus the stock market. Then, discover the various types of gold you’re able to purchase. Finally, consider your options in terms of where and how you can begin buying gold now. There are many contributing factors to the current gold price. For example, the cost of actually mining gold plays a part in its price on the market. Additionally, the demand for gold across various industries also plays a factor. The technology field, the jewelry industry, and many others all depend on the manufacturing of gold to prosper. As demand increases in each of these markets, so does the gold price. Another factor that dictates today’s gold price is the state of our currency. Although it may seem unrelated, as the value of the US dollar (USD) strengthens, the price of gold decreases. In contrast, when the USD weakens, the spot price of gold will increase. To help our customers have a clear understanding of the gold price at all times, we offer an interactive, live gold price chart on our website. This allows you to quickly and easily track gold prices in real time. The chart also allows you to examine historical prices over the past 30 years to gain insight into gold price trends and fluctuations. Although investing in the stock market is often seen as the financial norm, it doesn’t necessarily mean it’s your best option. Historically speaking, an investment in gold is a more stable and secure financial decision. This is because the gold price fluctuates independently of financial markets. Its estimated value also tends to swing significantly less than the price of various stocks. Consider this: what would you do if the stock market were to crash (as it has many times in the past) tomorrow? Would your retirement account disappear? If so, that’s a very scary reality. In the event that the stock market did in fact crash, the value of precious metals would actually rise, rather than decrease. Gold is the only currency which has no liability attached to it. While all paper currencies now come from debt, the value of gold comes from the natural limits on its supply. Therefore, it’s a smart decision to diversify your savings in both traditional currency and gold, so you’re always covered. The bottom line: gold as an investment is a good idea. Gold allows you to diversify your financial portfolio. In other words, you’re no longer forced to rely on paper currency alone. 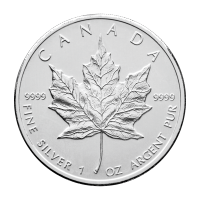 As the demand for precious metals like gold and silver increases, so will the silver and gold price. Consider investing today before it continues to rise and gain value. When you invest in gold, you can rest assured knowing it can't be produced out of thin air. There is a finite supply. If traditional stocks plummet in value faster than investors can sell them, the gold bullion price historically rises due to the fact investors commonly push their currency into precious metal assets after a market crash occurs. Gold coins are typically more popular among gold investors than gold rounds. This is despite the fact that gold coins generally are more expensive than rounds of the same size and purity. 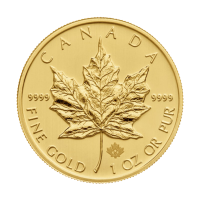 The assumption most people make is that government mints have very high standards when it comes to gold coins, and therefore they’re the smarter investment. 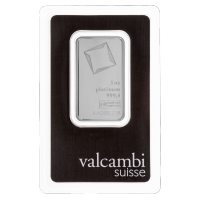 Bars, rounds and coins are available in sizes as large or larger than 1 kg or 100 oz or in sizes as small as a gram or 1/20th of an ounce. 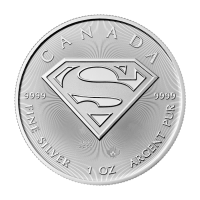 A numismatic coin is a limited coin intended to be collected. 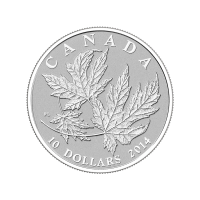 Oftentimes, the value of the coin comes from its rarity and the public’s ability to get their hands on it. 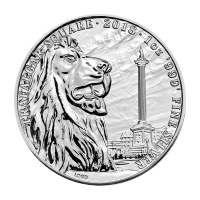 This is in contrast to a bullion coin, where its value is related directly to its precious metal content. An investment in gold jewelry allows the investor to easily transport their gold simply by wearing it. You are also able to easily travel across borders with gold jewelry, too. Gaining in popularity, 22 karat gold bullion jewelry is of high purity and simple design. Regardless of your preference, we can help you shop for the best gold coins, rounds, and jewelry that fits your specific needs. 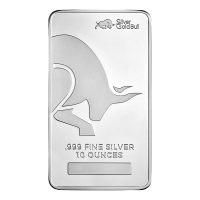 Silver Gold Bull is your trusted, go-to silver and gold dealer online. 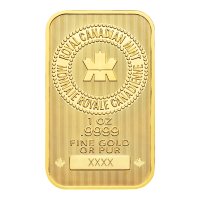 We provide you with competitive, up-to-minute pricing and allow you to easily track the gold price on our website with our interactive chart. We also offer gold price alerts with our tracking software. Simply set your ideal gold bullion price per ounce, and we will send you a notification via text or email when the current market price of gold has reached your target. We always ensure that your precious metals are delivered to your door discreetly and fully insured. Additionally, our in-house customer service representatives will work to assure your satisfaction in a timely, friendly, and professional manner. We pride ourselves in providing a convenient and easy way for you to invest in physical precious metals. If you’re ready to buy gold online, we can help you get started today. When you buy gold, you’re investing in a form of wealth that is universally accepted and more reliable than any paper currency has been in history. Learn more about today’s gold price, how to buy gold and start investing smarter today.